Glasshouse Balloon Co, Inc was recently asked to assist LG Mobile with the launch of their new LG Thrill 4G phone 3D superphone and they added a level to this ?3D excitement? 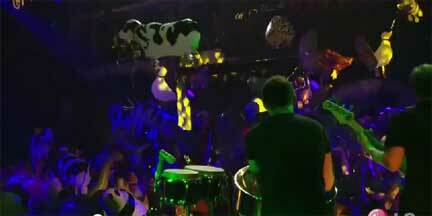 by providing the crowd with a stunning display of their My Own Pet Balloons. 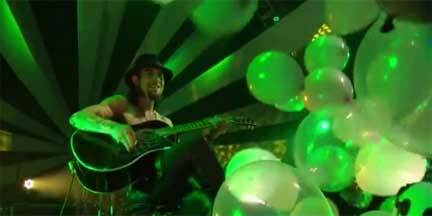 by LG and Jane’s Addiction where the first to capture 3D video footage of the one-of-a-kind event using the LG Thrill 4G.? In total over 1,500 people attended the 70 minute show. The presence of My Own Pet Balloons added a key layer to this 3D show.? ?A balloon drop of regular balloons as well as Mylar animal shapes and clear latex balloons with flashing green and blue LED lights inside and confetti cannons,? occurred as Jane Addiction played one their most famous tunes, Jane Says. 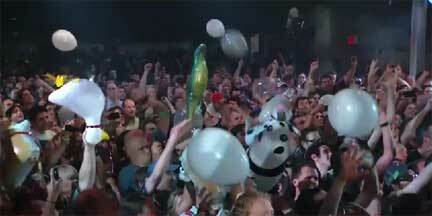 Click here to watch the My Own Pet Balloon drop during this concert.